If you’re passionate about gardening, or you simply love nature, this Tulip Time cruise is for you! A special interest departure designed with inspirational horticultural art in mind. Special features combined with the season of endless rows of blooming colors make your cruise through Holland and Belgium one to be pressed in the memory books. If you’ve dreamed of a view filled with windmills and blooming fields of color in Holland and Belgium, it all comes true on your European river cruise from Amsterdam to Brussels! Cruise on the Rhine River with a visit to Arnhem’s WWII Airborne Museum, and join your ship in Nijmegen and visit the lovely forest setting of ‘s-Hertogenbosch for decadent Dutch chocolate desserts. You may otherwise visit a fruit and flower farm to hear the history of a 15th-century windmill. Take a carriage ride through the nearby nature reserve to watch for herons, storks, birds of prey, and wild horses or, if you prefer, take a guided bike ride along the Rhine River banks of Arnhem. In Maastricht, tour the old cobblestoned university town, or visit a working mill to make Limburg pie. On to Belgium for a sightseeing tour of medieval Namur. 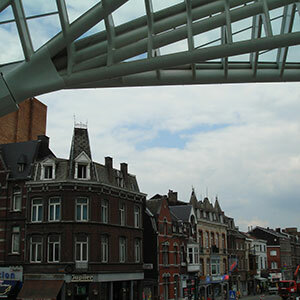 In Liège, see the ancient quarters of the “Fiery City” as well as its romantic streets, steps, and tiny alleyways. Next, you’ll explore the city of Antwerp-birthplace of the master painter Pieter Paul Rubens. Stroll its cobbled lanes amid 16th-century guildhall houses and the cathedral’s stunning altarpiece paintings by the famous artist on your guided tour of the diamond capital. In Brussels, you’ll find landmark buildings of Town Hall with a collection of cafes and shops on the Lower Town streets on your guided tour.